THE ISPCA HAS urged snake owners to make sure they are using all the right equipment to care for the animals after one managed to escape recently. Inspectors for the charity recently rescued a corn snake in south Tipperary. He is currently quarantined to monitor for diseases and to help reduce his stress levels. ISPCA Chief Inspector Conor Dowling urged prospective snake owners to read up on caring for the animal before they buy one. He said: “Corn snakes are one of the easiest reptiles to keep in captivity but even they require very specialised housing, feeding and care. The ISPCA would like to see stricter controls over the sale and keeping of exotic species including a ‘positive list’ of species which are permitted to be bred, sold and kept as pets based on their welfare needs and whether they pose a risk to human health or the environment if they escape or are deliberately released. “Corn snakes are great escape artists, so we are assuming Albert escaped from his previous owner. These snakes and other exotic animals have incredibly specific housing needs. Dowling added that if you are thinking of getting a snake, it is best to speak to a reputable breeder or seller who has proper records on the reptile’s state of health. Email “ISPCA find Albert the snake who snuck out of his cage and went wandering around Tipperary”. 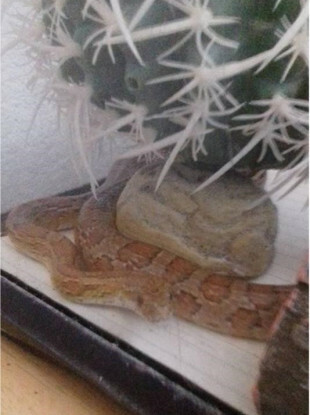 Feedback on “ISPCA find Albert the snake who snuck out of his cage and went wandering around Tipperary”.